I have to admit that it took me a while to get into this book, despite its Pulitzer Prize and multiple accolades. I’m not sure why I couldn’t sink my teeth into it from the first chapter, but somewhere around the middle of the book I couldn’t put it down until the last page passed beneath my fingertips. And then I immediately got it on audiobook from the library and listened to the whole thing. 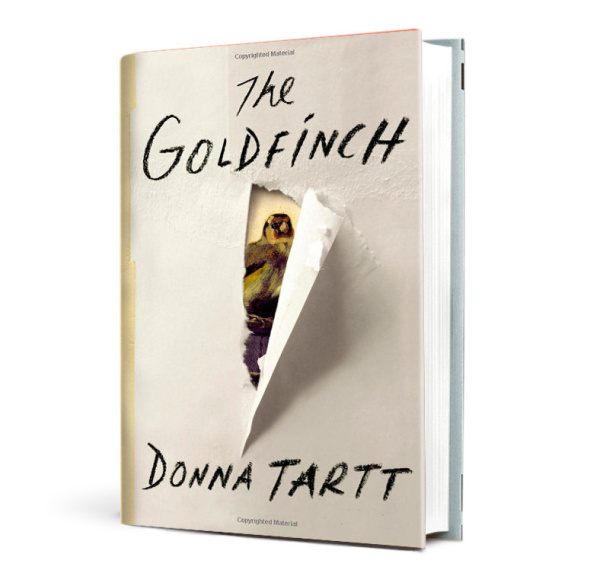 The book begins with a young boy named Theo and his art loving mother who go to the Met to see an exhibition of Dutch masterpieces, including Carl Fabritius’s “The Goldfinch.” A tragedy strikes at the museum, leaving his mother dead, and Theo concussed and terrified in the rubble. He then sees a dying art patron look at him and point to The Goldfinch. Theo panics and takes the painting, a decision which unbeknownst to his 13-year-old self, will inform the rest of his life. An orphaned Theo manages to make his way into the art and antiques world, a world punctuated by the elite, by childhood renegades, drug addiction, and unsavory business dealings. Theo tries to make an honest living selling antiques, frequently ruminating on his stolen painting, only to find out that his childhood best friend stole it years ago and that it has been traveling the black market ever since. In a catastrophic and thrilling plot to retrieve the painting, Theo winds up bereft and suicidal in Amsterdam, with the painting presumably lost forever. In an elegant twist in the last pages, Theo finds redemption, renewal and a path to righting his wrongs. Exceptionally well written, I highly recommend it.